On 26th August, Brooklyn Brewery are celebrating Pride Manchester with the ultimate closing event – the Brooklyn Pour Proud Parade. 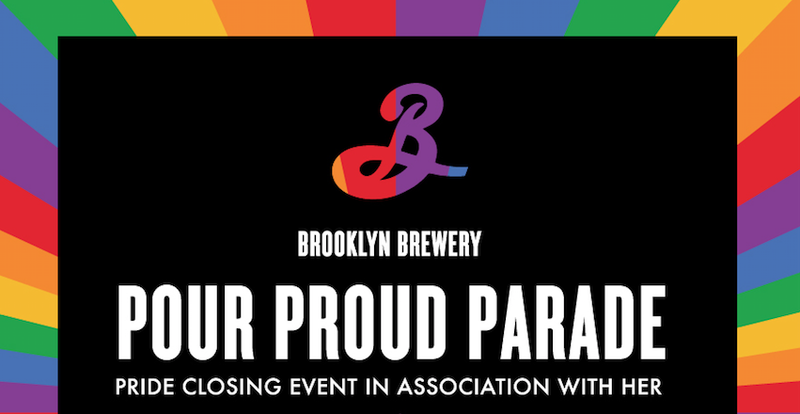 The parade kicks off at 7pm from Soup Kitchen where Brooklyn will be pouring their Stonewall Wit with Pride. The Parade will continue onto Jimmy’s and Common and guests will finish the night at Tribeca for an epic Pride Closing Party hosted by HER. Tickets are completely free and all donations will go to the Stonewall Inn Giveback Initiative. Ticket Price: You need to register for a ticket but it’s completely free and you don’t need a Pride wristband to join. HURRY though, only 30 tickets available.